If beauty is as beauty does, then Bonita is the perfect package. Just as lovely on the inside as she is shining out to the world. 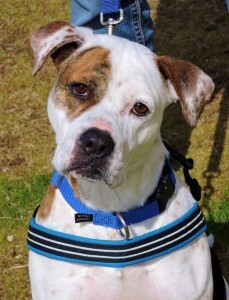 A Bonnie Boxer mix, with a short white coat and bright brindle patches, she turns heads and warms hearts by just being “her.” Bonita is 7-years-old and at that wonderful age when she can be calm and content all day long, but still bounce and play with a puppy’s spirit. She would be a wonderful choice for families with children or other like-minded canine companions. Her laid back energy makes this larger gal a good fit for homes large and small as long as she can go on a nice walk with her favorite pals. Bonita is looking to add beauty to the lives of her new forever family with a lifetime of love and loyalty. Jameson is a superhero in the making. This 1-year-old dynamo is ready to swoop into your life and save the day. Just when loneliness gets you down, this captain of cuddles arrives to save your lap from a case of the chills. Jameson’s iron grey armor is soft and sleek, and his powers of persuasion make even the biggest kitty-sceptics melt. 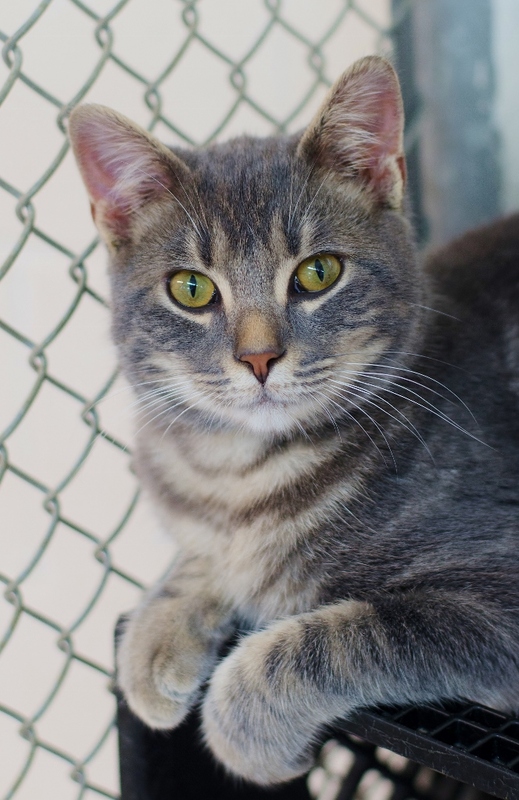 By day, Jameson is a well-mannered house cat happily living with pets and people alike, but if boredom or worries happen to strike the family he loves, he’ll spring into action with acrobatic antics that will brighten the bluest of day. Jameson knows that he’s destined to rescue a lucky family and become the champion of a home in need of a furry avenger. Come and visit him today and begin the next chapter if an epic adventure with Jameson.